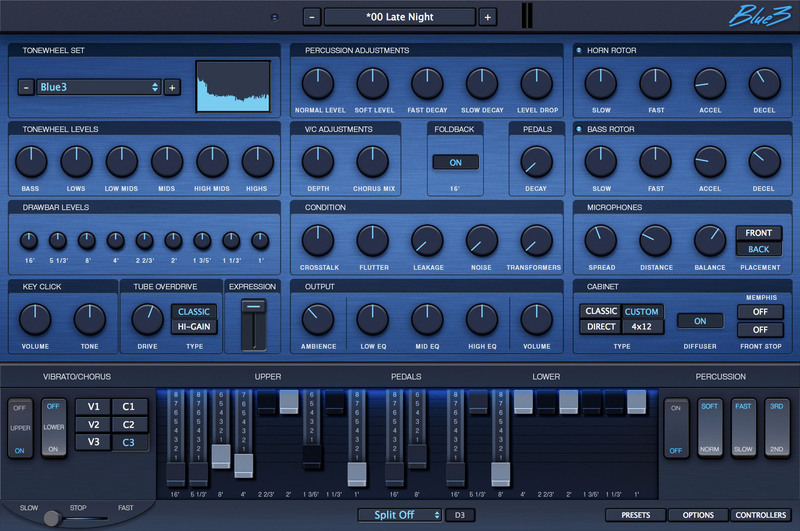 GG Audio has released Blue3, a simulation of a vintage tonewheel organ. 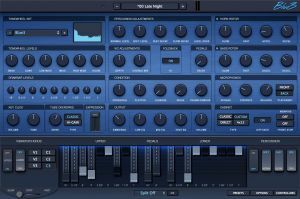 Blue3 is a detailed simulation of the classic tonewheel organs. Thanks to GG Audio's analog simulation technology, Blue3 gives the player control over every aspect of the sound. 91 modeled tonewheels with accurate phase synchronization. Full polyphony for upper, lower and pedal manuals. Adjustable tonewheel leakage, crosstalk and flutter. Selectable foldback for the 16' drawbar. 9 contact key and busbar simulation. Adjustable 3 band output EQ. 30 tonewheel sets from vintage A100, B3, C3 & L100 instruments. Completely adjustable percussion & vibrato scanner controls. Classic 122/147 and "high power" custom rotary speaker simulations. 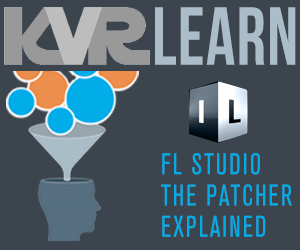 Accurate manual taper & volume robbing. Classic 40 watt rotary speaker tube overdrive simulation and high gain British guitar amp overdrive. Completely adjustable rotary speeds, acceleration & deceleration. Accurate microphone spread and distance controls. Front stop & Memphis control for rotary speaker. All simulation done in code, no samples.